Jeff, I have a '05 R50 with 150,000 miles. She is my every day driver and after year 1, I opted for a dedicated set of wheels and snow tires. The dedicated snows and front wheel drive are plenty good for getting around the Twin Cities of Minneapolis when the white stuff comes. 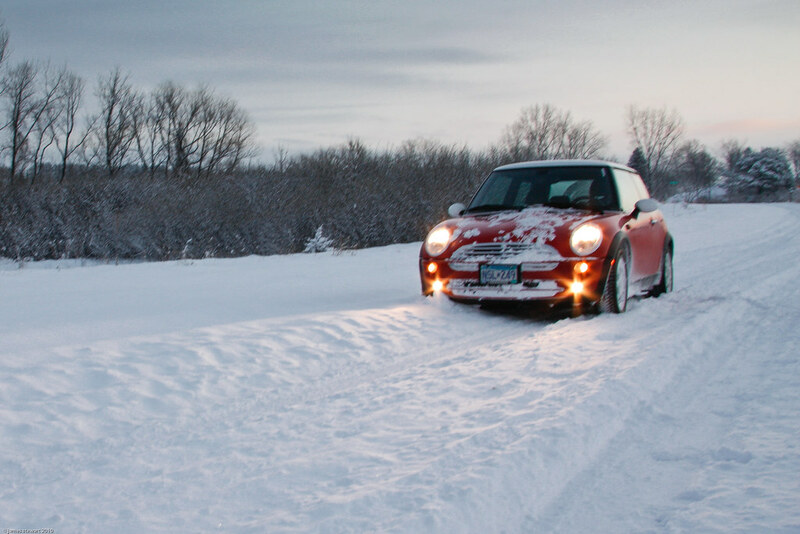 (Lets face it, when we exceed 9 inches the MINI is no match for mother nature.) However, in the 6 inches or less range, the front wheel drive and dedicated snows maintain traction on inclines and while cornering, giving you confidence as you navigate. (I driven past many a 4 wheel drive truck or SUV in the ditch to prove it.) Since I didn't want my rims to get beat up with annual mounting, the second set of wheels did the trick. Best of luck to you. Cheers!